Texas leads the nation with 675,580 miles of highways and byways, enabling you to get to anyplace you want to visit at whatever pace you want to travel. While I enjoy the 85-mile per hour speed limit on Interstate-10 once you head west of San Antonio, I still prefer to travel the Lone Star State at a much slower pace. Traveling Texas backroads yields treasures that are easily missed when you travel by faster routes. Not the least of these treasures are the many small towns, farms, and ranches along two-lane arteries off the beaten paths. I have made a list of some of my favorite things about traveling at a slower pace along Texas backroads. 10. Interesting old houses and buildings. | Every small town has interesting old houses and buildings, some in a permanent state of disrepair, melting away in the heat of the passing years. These places stir my imagination. I also enjoy seeing how entrepreneurs have restored or repurposed old houses and buildings and turned them into craft shops, specialty boutiques, restaurants, and more. It’s nice to see new life breathed into old buildings. 9. Historic hotels. 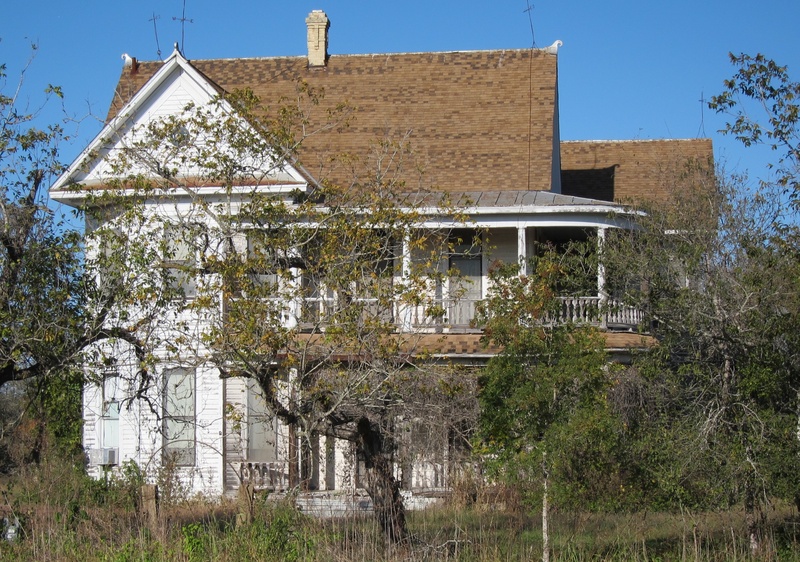 | Many of the smaller destinations in Texas have some of bigger and better historic hotels. I especially like the old Gage Hotel in Marathon and Hotel Limpia in Ft. Davis. These old hotels are beautifully appointed with antiques and offer comfortable common areas where you can actually enjoy relaxed conversations around the hearth with other guests. 8. Steering wheel salutes. 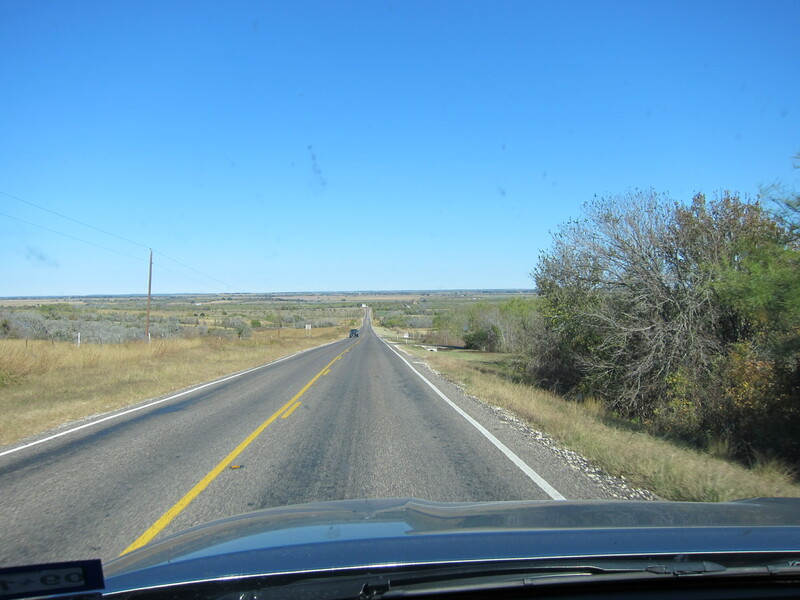 | When driving Texas backroads, especially in a pick-up truck, you can expect the person in the approaching vehicle to give you a quick salute with the hand on top of his steering wheel. Or, if you make way for the guy behind you to pass you on some two-lane backroad, he will generally give you a courtesy thank-you wave. The good thing about all this is that folks in Texas wave at you with all of their fingers! 6. The Texas Stop Sign. | You will not see many Golden Arches when traveling Texas backroads, but you will see the Texas Stop Sign in almost every small town you come to — Dairy Queen. 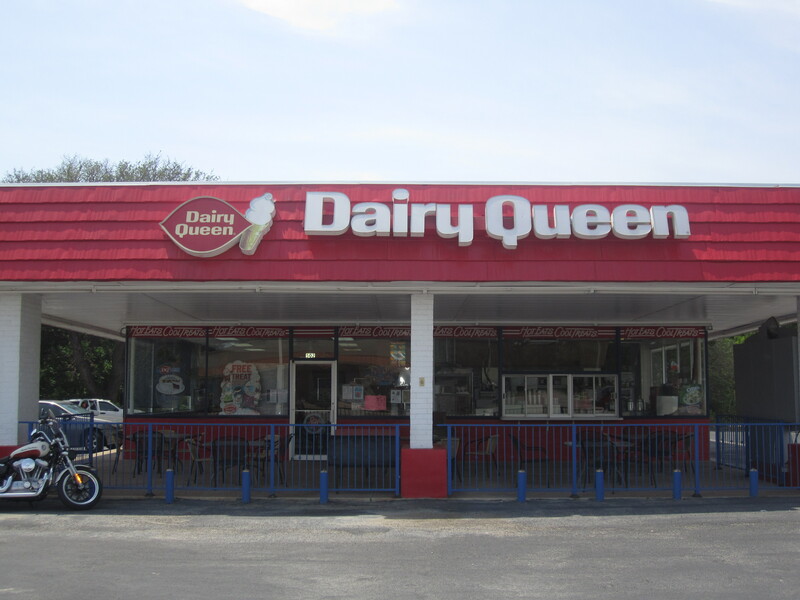 Enjoying a cone dipped in chocolate at a Dairy Queen in a small town is the equivalent of ordering one of those fancy coffee drinks at a big city Starbucks. 5. Home-style cooking and generous portions. | When traveling the backroads, you should always take time to ask the locals about the best places to eat. Or, just pick a place that looks interesting and stop in for a meal. That’s how I have discovered some really good places to eat that offer home-style-made-from-scratch cooking offered in generous portions complete with a tall glass of sweet tea. Oh my! 4. Historical markers. 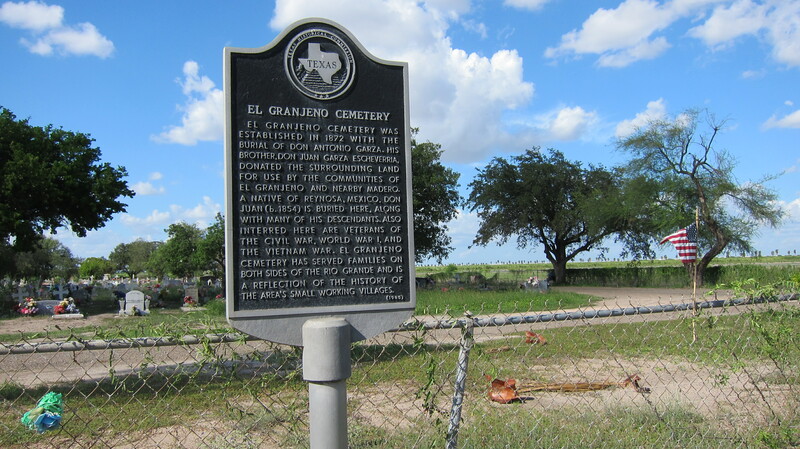 | Texas has a great Historical Marker system in place throughout the State. One advantage to not being in a hurry is that you can take the time to stop and read some really interesting things about what happened at or near wherever you happen to be. 3. County courthouses and town squares. | County seats in Texas boast some of the best-looking courthouses in the nation. These prominent courthouses are generally centrally located and adjacent to inviting town squares where people actually sit on park benches and have conversations. 2. New friends. | One thing I enjoy most about slower travel along Texas backroads is meeting interesting people along the way. On one road trip, my wife Cheryl and I met a young lady from New York who had left the corporate world to seek new employment and adventure in small town Texas. She was excited about making a new start in really small town. This New Yorker turned Texan is one of many interesting people we have met over the years because we travel at a slower pace. 1. Sharing the adventure. | I have traveled many backroad miles all by myself in my pick-up truck. But, I prefer to travel with my wife or a friend in the passenger seat. I believe that the beauty of the Lone Star State is made even more enjoyable when you share the experience with a loved one or a friend. So, the next time you venture out, take someone along and enjoy Texas. 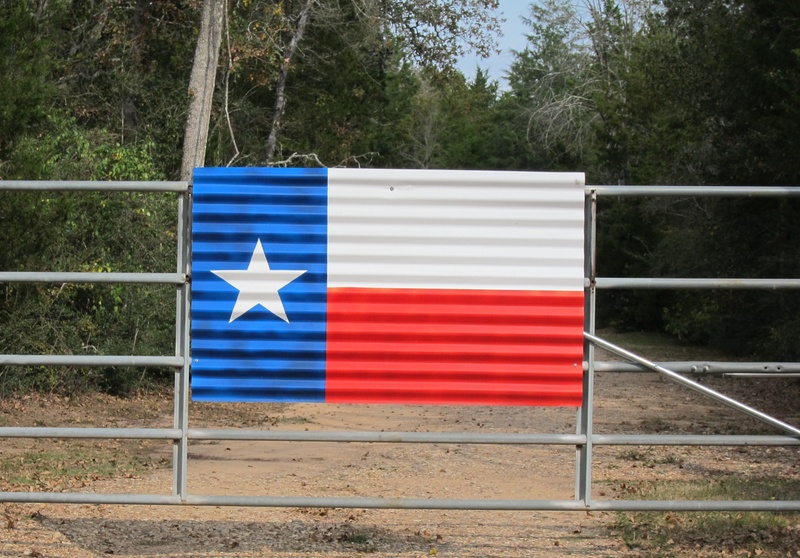 This entry was posted in Road Trips, Small Towns and tagged Road Trip, Texas Backroads. Bookmark the permalink.